The disappearance of children is nothing new, as Changeling and the case of Madeleine McCann can attest. Vanishing children is a deeply disturbing part of society and one that is not as rare as good people would like it to be. In the case of Nicholas Barclay, however, there were a series of unusual twists that would be too far-fetched for a soap opera. In brilliant fashion, The Imposter sheds light on this peculiar affair. Nicholas Barclay, aged thirteen. This picture was taken shortly before he disappeared without trace after playing basketball with friends. 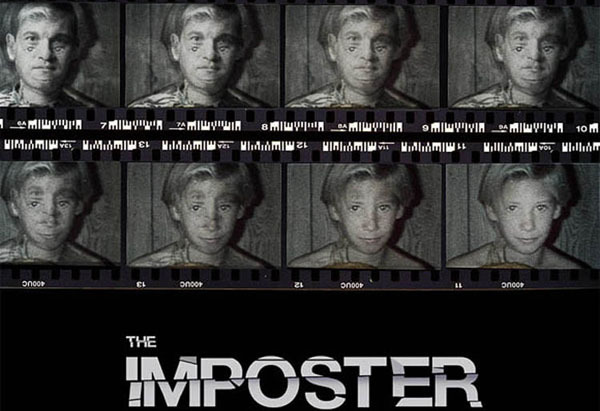 The Imposter is a documentary-style film about the vanishing of Nicholas Barclay in San Antonio, Texas, in June 1993. After no news for more than four years, in November 1997 the Barclay family received a call from Spain telling them that Nicholas had been found. Yet, when ‘Nicholas’ returned to America, he was no longer fair-skinned, blond-haired and blue-eyed. Rather, he had dark Arabic features, brown eyes, looked older than sixteen, and spoke with a distinctly French accent. Nevertheless, the Barclay family took him in. They looked after him as if he were part of the family, unaware that ‘Nicholas’ was really Frédéric Bourdin (played by Adam O’Brian to depict ‘Nicholas’ when young). 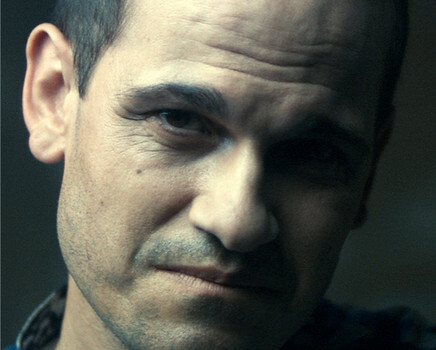 The Imposter is a surprisingly gripping film that feels significantly shorter than its 99 minutes. Despite being neither a drama nor a thriller nor a horror movie, the film is dramatic, thrilling and unnerving (indeed, more so than many thrillers and horror movies). This is because The Imposter has been put together magnificently by Bart Layton by predominantly using old film footage of the actual events; few re-enactments, all of which are grounded; eerie music that gives the film an odd air of surrealism; and question-less interviews with the living members of the Barclay family, embassy officials and FBI-agents involved in the case, as well as Frédéric Bourdin, himself. Frédéric Bourdin, whilst being interviewed during the film. Even though he is thirty-eight now and balding, with his dark features it is still incredible to believe that he managed to fool the Barclay family, the Spanish authorities, American embassy officials, and some FBI agents into thinking that he was Nicholas Barclay in 1997. By putting the cameras directly in front of the interviewees, Layton has cleverly made the audience feel as if they are interviewing the cast themselves. Moreover, as the interviews and the storyline follow a logical/chronological order, viewers are able to feel a rare intimacy with the interviewees as well as with the events as and when they unfold. Layton has also given each member of the cast a fair amount of time to explain his/her reasoning. This ensures that one can understand and empathise with the characters for why they behaved and reacted in the way they did. That is not to say that all questions arising from the case are satisfactorily answered in The Imposter. (I won’t go into them as that would spoil the film.) 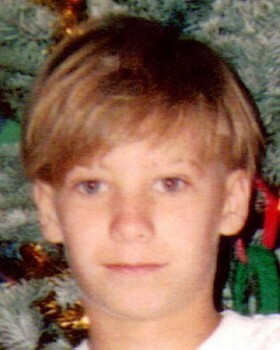 It is also bizarre that little is mentioned of Nicholas’ older brother Jason, who died mysteriously of a drug overdose in 1998 not long after meeting ‘Nicholas.’ Surely, Layton could have interviewed some of Jason’s friends (assuming he had any) to get Jason’s side of the story or to get an idea of the sort of relationship Nicholas had with his older brother? ‘Nicholas’ (Adam O’Brian) back in school after returning from Spain. Did it not occur to Nicholas’ friends and teachers that he looked darker than he should have done and much older than a sixteen year old boy? But the lingering question throughout the movie is: how did Nicholas’s mother, Beverley, not realise that it was not her son who arrived from Spain? Or, alternatively, did she know that ‘Nicholas’ wasn’t her son, yet played along with it for other reasons? It seems somewhat implausible that a mother, regardless of her intelligence, would fail to recognise her son in an instant, as Christine Collins (played superbly by Angelina Jolie) conversely illustrated in Changeling. All-in-all, The Imposter elucidates admirably upon the weird ‘reappearance’ of Nicholas Barclay. The film powerfully makes one feel close to the events in an impressive, yet utterly unsettling way. This is not merely because of Bart Layton’s bold and well-executed documentary-style approach to the movie. 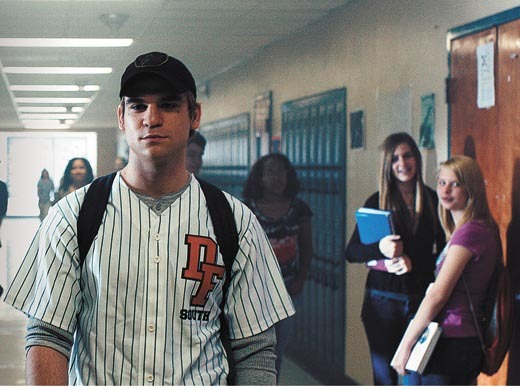 It is because The Imposter is a non-dramatised true story, and deals with a disconcerting issue that is very pertinent to present-day society.